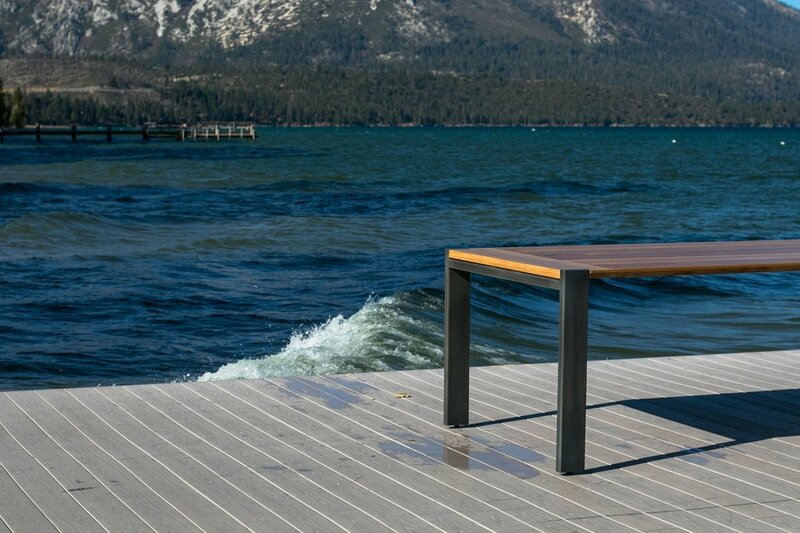 We design and create all of our pieces iN Lake Tahoe CALIFORNIA and aim to build products that are eye-catching, innovative, functional, anD reflections of our personal style. We offer several designs that adapt to living spaces that expand to a larger function when the occasion calls for it. Our ‘Insignia’ can serve many functions, with both leaves folded down as a console table for easy storage when not in use, expanding one leaf and leaving the other folded for a desk designed to hide cords and outlets, or expansion of both leaves that creates a full-width table for desk or dining table use. This convertible design maintains cutting edge style with simple and quick adjustability. All of our products can be custom made to order in a variety of designs and dimensions, shapes, materials and finishes. 3-D designs are rendered to document a visual concept of the project, and we often provide photos during the build process. We source a variety of FSC-certified domestic hardwood lumber to customize any project with different grades and finishes available. Our ‘Hudson’ design is customizable in a variety of materials, finishes and dimensions. The corners of the wood are notched to fit the steel "H" parsons frame and a thin angled profile is implemented on the long edges of the wood for sleek and soft aesthetic. Each piece we make is a collaboration between all 5 members of our team and our clients. Initiating the design concepts, planning with precision, tailoring each project to our clients needs while maintaining our own design standard and thorough execution of each project comes together harmoniously throughout the build process. Please message contact@mezworks.com to schedule an appointment to visit our workshop.